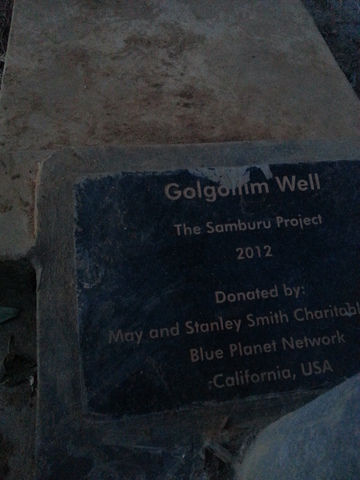 Funded by Blue Planet Network, The Samburu Project will drill and install a well in the Golgoltim community. The Lower Sordo Well (D2W6) drilled in 2007 was washed away after a flash flood in May 2012. As nature would have it, since drilling the well in 2007, the river diverted. Over the last couple of years, the community worked tirelessly to protect their well, but unfortunately the flash flood in May was unstoppable. The Samburu Project is committed to providing clean water to this community and therefore we are drilling a well in Golgoltim which is just across the riverbed. With the well in Lower Sordo gone, the women have to walk three hours each way to find water. Nine sites were surveyed before finding a viable location. 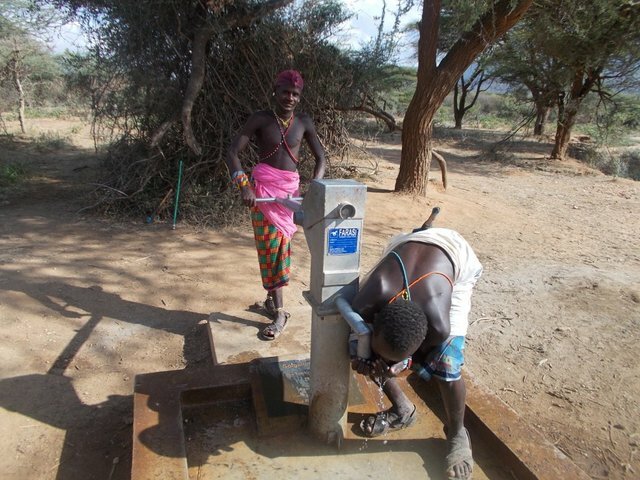 Today, construction was completed on the well and the community is pumping and drinking clean water! Water Struck at 34 Meters! After a few days of a broken rig and then drilling, water was struck at 34 meters! It was a much better day for Lucas and Kariuki today as they found a viable site for the Lower Sordo well replacement. After looking surveying 9 sites over 2 days in Lower Sordo and Golgoltim, they were met with success! Kariuki and Lucas spent the day in Lower Sordo working diligently to find a site to replace our Lower Sordo well that was washed away earlier this year. Sadly, no site could be found to drill. Tomorrow, they will move across the riverbed to Golgoltim to see if water can be found there.